Cold weather is here whether we like it or not. With temperatures dipping below freezing it’s extremely important your home is properly prepared. 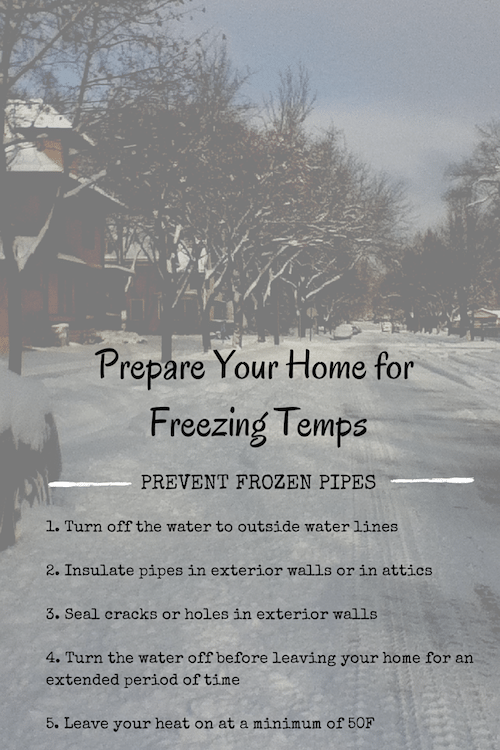 If the pipes in your home aren’t well-insulated, it could cause them to freeze and burst. If that happens, you’re looking at thousands of dollars in water damage to your home or business. Take a look at the check list below and make sure your home and/or business is prepared for Wisconsin’s frigid winter weather. or have any questions. Don’t hesitate to call us at 800-727-8990. A&J Specialty Services, Inc. DKI is a full-service, 24/7 emergency restoration company serving south-central Wisconsin. A&J is an expert in water restoration, mold remediation, fire restoration and sewage cleanup.